Cat Hampurr - Review | A Cat Called Freya, and Teego Too! I have missed your videos. But, I know that sometimes it can be hard to upload them, especially if you are busy with work and all. I do hope that I can see some again soon. Oh, by the way, does the Cat Hampurr people ship to anywhere in the world or just the UK? That may make my mind up as to whether or not to subscribe. Thanks for any information you can give me. Hi there! I still want to make videos too! 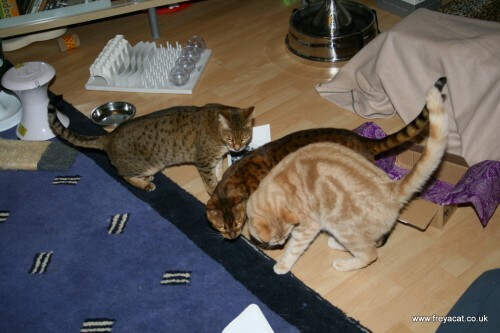 I can only suggest you ask the cat hampurr guys on facebook or twitter? Thanks for the comment, we’re launching in the UK only this month but may look to ship further afield if there is demand. How cool! There are several companies in the U.S. that do this – that is awesome that the U.K. has one! That is a cool package! We miss you guys! Hi there, pals! We’ve missed you so! 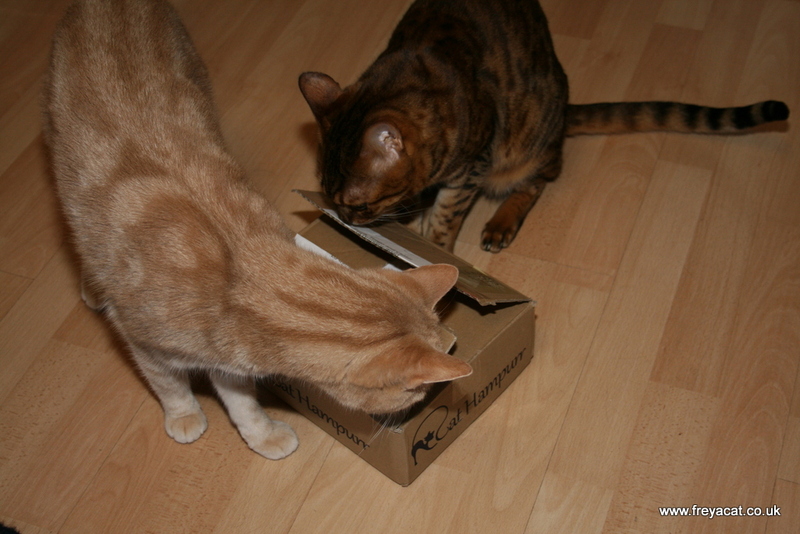 That’s a great package from Cat Hampurr … glad all the kitties enjoyed it. Wow having a great joy with your pet, pal its the most hilarious moments i’ve ever seen..
We’re glad we could make the cats, and a grumpy post man happy! That is actually a good idea. They surely did love the surprise. Look at Freya showing up in the last minute. I guess she couldn’t resist. Don’t want Chatzi and Teego to have all the fun to themselves now, do we? What if the cat doesn’t like the package, can it be exchanged for a different one? Each monthly Hampurr contain exactly the same products as all the others so unfortunately there are no alternatives. 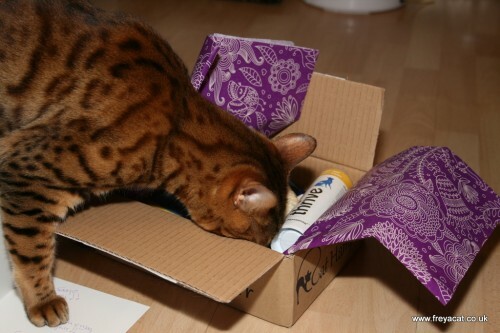 We do work extremely hard to ensure products are of the highest quality possible so we hope even the most fussy feline will be satisfied. Sure thing, we’ve just set the website live so it may be a few days before we get back to you but feel free to use the contact form on our site. What a great idea! The cats are certainly enjoying it. This is something very cool. Happy to know that U.K. has one. Seems like Freya is not much interested like the boys! 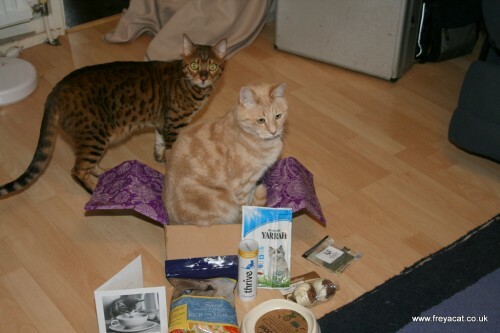 Hi, I was hoping that Freya, Teego and Chatzi might like to review our pet products. Please could you advise a contact email so that I can send you some details?